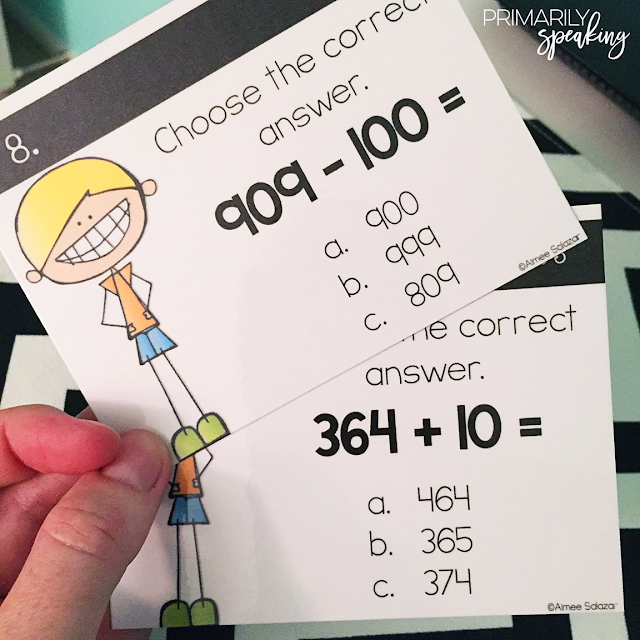 Task cards are a staple that every teacher can use. 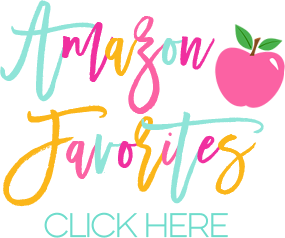 They are effective and engaging, low prep, easy to use, versatile, and they can be used with any subject. Task cards are one of my favorite resources because of all these things. A while back, I shared ways in which task cards can be used in the classroom. Click HERE to read my original post featuring seven terrific uses for task cards. But here's the thing, there are even more ways to use task cards! 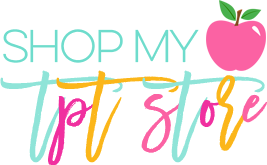 So, I'm back with a new post featuring seven more ways to use this versatile resource. Use them to assess your students at the end of your lesson. In my previous post, I shared that I often project task cards (one at a time) via my document camera as part of our math warm up. Why not project them at the end of your lesson (any subject) to assess your students' understanding of the content you just taught? To do so, have your students respond on their personal whiteboards. Don't have personal whiteboards? Place a piece of paper in a dry erase pouch (see below), it can serve the same purpose. :) They can hold up their answers on your signal and you can quickly assess. From there, you can note who you need to meet with in small groups for further instruction or address any misconceptions on the spot. Use them to give students practice with explaining their mathematical thinking. 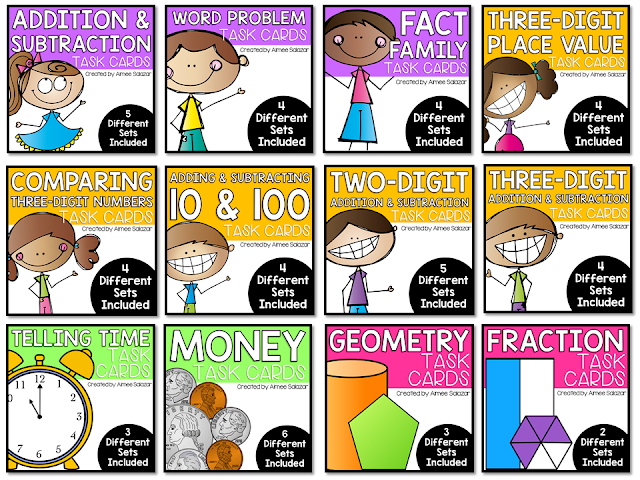 Yes, there are task cards for every subject, but I love using my math task cards to help students practice and gain confidence in the area of explaining their mathematical thinking. Give each student a task card. Then, pair students up and task them with explaining to their partner how they solved the problem/arrived at their answer. 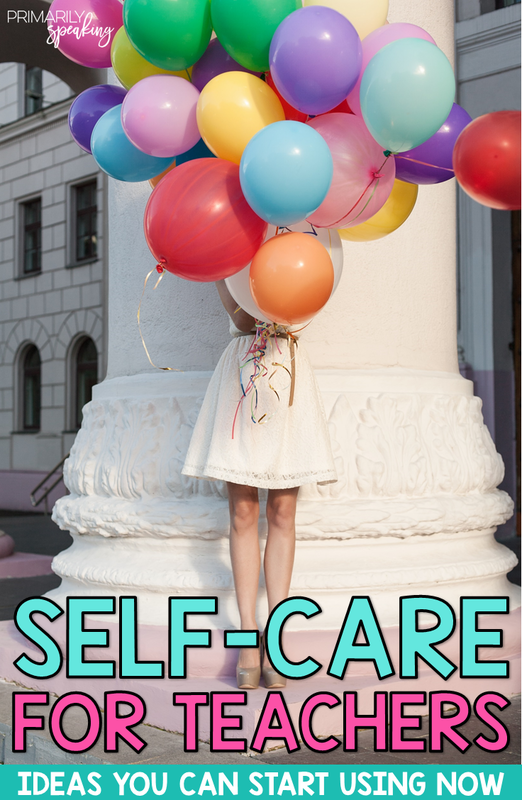 This is a difficult skill for primary students (at first) and by practicing with a classmate one on one, it can ease their nerves and help them build confidence. Use them to play a game of Around the School. Around the Room (or I Spy as I often call it) is huge deal in my classroom. We play it often, and the kids love it. You can use any set of task cards for this activity. Simply set your task cards around the room, give your students a clipboard, and have them go from card to card until they are finished. You can read more about his activity here. 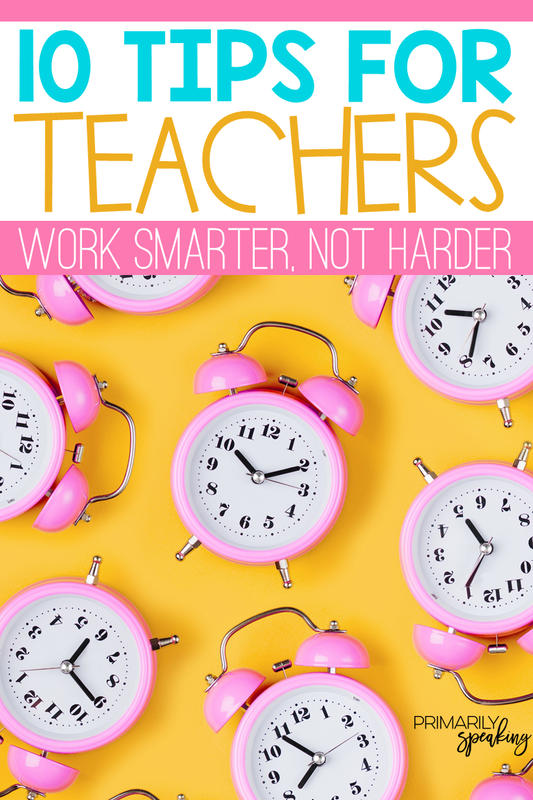 Buuuut, if you want to mix things up, or reward your students (while sticking to your objectives) why not take that game of Around the Room (or I Spy) out into the hallways and learning areas around your school? Or, even the playground? Of course some ground rules would be in order, but it would be a fun change of pace. Use them as an exit ticket. Yes, this is another form of informal assessment, but it's good to have variety! Task cards are usually printed 4 to a page. Print out a page of cards and have your students solve/answer the four cards on their page as their exit out the door. Use them at the end of your lesson for independent practice. I like to do this often. At the end of my lesson, I will divide a set of task cards up among my table groups. And, I give each student a piece of paper (sometimes colored paper...because that's more fun) and have them fold it into sections (usually four). They use the spaces on their paper to solve any four of the task cards at their table group. So, how is this different than an exit ticket? Because, once the students have solved/answered their task cards, you can invite volunteers to come to the whiteboard to teach the class! They can show their task card to the class and then show/explain how they answered it. This can be done using a dry erase marker, or they can place their paper under the document camera. Or, pair students up and let them teach each other (kind of an extension of idea number two). Simply choose a method of sharing that best matches the type of task cards your students are working with. For me, this works best with math task cards because the students show their work. They can bring their task card and their paper to the board and show the class how they solved the problem. Then, when I go back to their papers later on, I can easily understand and evaluate their work. Use them to play Race to 10. Students can work in pairs to play this game. Give each pair of students some task cards (at least 24) and some counters. Students place the set of task cards face down between them. To play, students take turns solving/answering each task card. Each time they get the answer right, they collect a counter. The first person to collect 10 counters is the winner! Use them to play a game. You could use this same idea with any game, like Candy Land, Chutes and Ladders, and so forth. 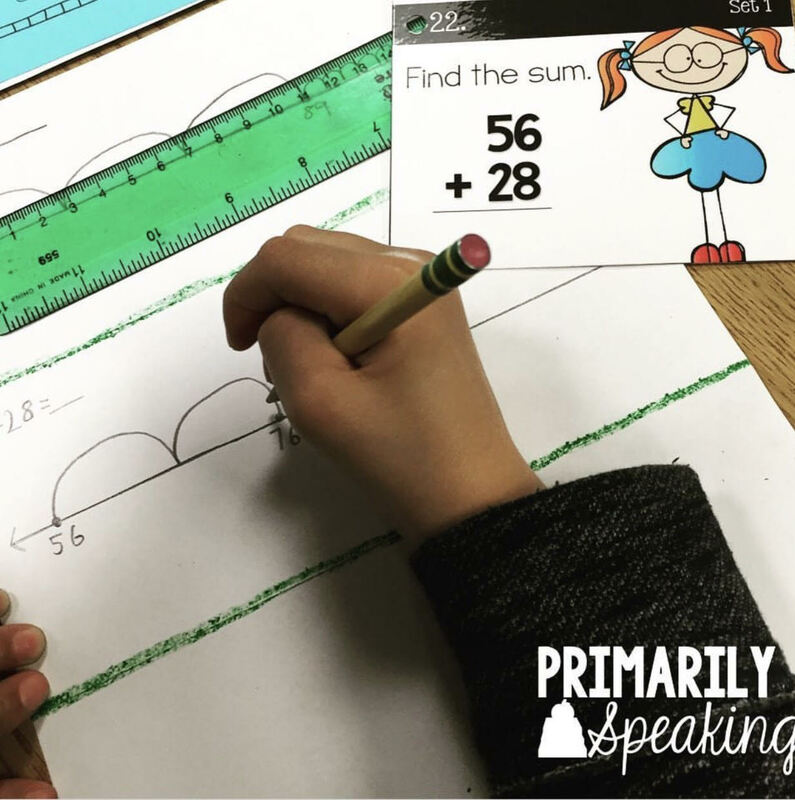 Be sure to visit THIS POST for more ideas for using task cards in the classroom. 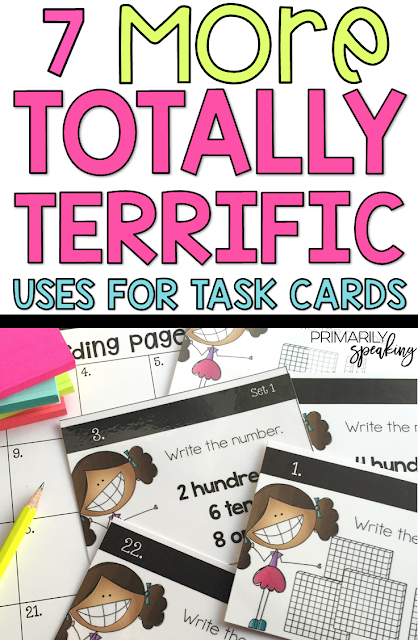 Looking to add some task cards to your classroom? 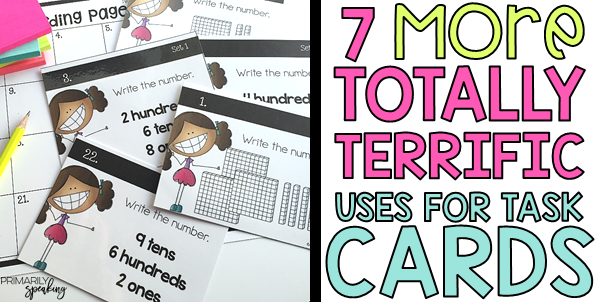 I have several sets of math related task cards in my TPT store. I hope you were able to take a new idea or two away from this post! Aw, thank you so much, Vicky! 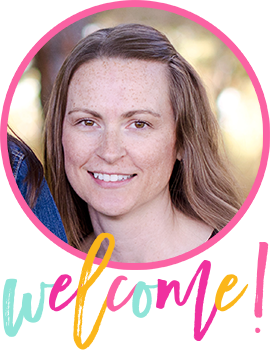 I hope the ideas work well in your classroom. Thanks for stopping by!